The second complete vintage from Harper’s Trail Estate Winery is on the market and the quality marks this Kamloops winery as the real deal. This is the first winery to open in Kamloops (there are now three others). Let me quote what I wrote in the recent edition of John Schreiner’s Okanagan Wine Tour Guide. What makes this vineyard special is same thing that has enabled Lafarge to operate a cement plant nearby since 1970: the underlying limestone in the area, which is quarried for cement but also benefits grape growing. Ed Collett, who owns Harper’s Trail with his wife, Vicki, points to the cliff above the south-sloping vineyards. “That whole side hill is lime rock,” he says. This property on the north side of the Thompson River is about 16 kilometres (10 miles) east of Kamloops. Formerly, it grew hay and grazed cattle in what is quintessential British Columbia range country. The winery is named for Thaddeus Harper, the 19th-century American-born rancher who once owned the vast 15,569-hectare (38,472-acre) Gang Ranch, one of the first farms to use sturdy gang ploughs. Ed bought his modest slice of ranch country in 2007 after he had conceived the idea of developing a winery. He developed a taste for wine during travels to Chile on business for the mining equipment company he established in 1987. The winery’s 2012 wines were made at the Okanagan Crush Pad Winery. Since then, the Harpers have built both a winery and a tasting room at their Kamloops vineyard. Crucially, they continue to retain the winemaking services of Michael Bartier. 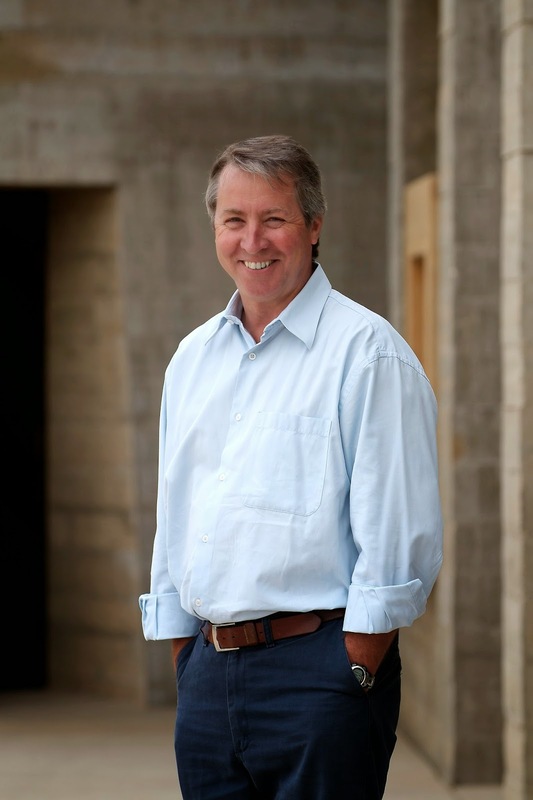 The former chief winemaker at Crush Pad, Michael left there at the end of 2014. He now devotes himself to his own Bartier Brothers winery and to consulting for clients like Harper’s Trail. Harper’s Trail Pioneer Block Dry Riesling 2013 ($19.90 for 626 cases). The winery describes this as “classic, austere.” By balancing the racy acidity (8.9 grams) and moderate residual sugar (11.6 grams), the wine finishes tangy and dry. The wine has aromas of citrus and green apples that are echoed on the palate. A signature feature of the wine is how it reflects the minerality of a vineyard with lots of limestone. The winery speaks of an “endless finish [that] evokes wet stones.” This wine is good now but also will age very well. 92. Harper’s Trail Silver Mane Block Riesling 2013 ($19.90 for 674 cases). There is somewhat of a contrast between this wine and the austere Pioneer Block Riesling. The Silver Mane Block Riesling has just over 16 grams of residual sugar, but very well balanced with racy acidity to give the wine a tangy, refreshing finish. But the residual sugar pops the lemon/lime aromas and flavours. There is a good spine of minerality. 91. Harper’s Trail Gewürztraminer 2013 ($16.90 for 182 cases). The wine begins with aromas of grapefruit and rose petal spice, leading to rich flavours of tangerine. There is a hint of spice on the lingering finish. 88. Harper’s Trail Pinot Gris 2013 ($18.90 for 830 cases). Aromas of pear and anise lead to flavours of pear, figs and anise. Richly textured, the wine has a spine of clean minerality, giving it a crisply dry finish. 90. Harper’s Trail Field Blend White 2013 ($14.90 for 344 cases). This is a blend of Pinot Gris, Riesling and Chardonnay. Beginning with aromas of citrus and apple, this is a refreshing white with flavours of citrus and with a crisp, minerally finish. 90. Harper’s Trail Late Harvest Riesling 2013 ($20.90 for 375 ml; 541 cases). This wine begins gloriously with aromas of peaches and mangoes and papaya, echoed in fruit flavours that dance on the palate. Even though the wine has 42 grams of residual sugar, it is exquisitely balanced with a tangy refreshing finish. 93. Harper’s Trail Cabernet Franc 2013 ($29.90 for 375 cases). The wine begins with aromas of blackberries and cherries. The winery’s own notes also suggest aromas of almonds and bread dough; a bit unexpected in a red but it adds interest. Medium-bodied, the wine delivers cherry flavours on a firm backbone of ripe tannins. The wine was aged eight months in barrel. The flavours are still quite youthful. I recommend cellaring this for a year. 88. In 1997, Mission Hill Family Estate launched its flagship wine by making about 500 cases of Oculus, a Bordeaux blend. It was an audacious move because the wine was priced at $35. The average price of a VQA wine then was about $12. Only one other Okanagan winery, Sumac Ridge, had a $50 red blend. Called Pinnacle, that wine struggled in the market and ultimately was discontinued by Constellation Brands, the current owner of Sumac Ridge. Mission Hill proprietor Anthony von Mandl, with a grander vision of the place of Okanagan wines on the world stage, has persisted. Mission Hill made 660 cases in 1998, 1,000 cases in 1999 and 1,330 in 2000. Since then, the winery has not always released production figures but the volume of the 2012 (not yet released) at 76 barrels or 1,900 cases, is typical. And now, with the track record of 17 vintages, Oculus sells for $100. It is generally regarded as one of the finest Bordeaux-style reds from the Okanagan. In 2002, when Oculus still was $40, I asked Anthony when the winery would make its first $100 wine. "I would think it's in the offing," he replied. ""When we do release our $100 bottle, it has to over-deliver at that price. That's what we are working toward. This is one of the reasons why have another cellar under construction, specifically for red wines." Oculus has provided leadership to the industry. A growing number of other producers have added icon wines to their portfolios and a growing number of consumers are collecting them. Leaving aside the price, wines like Oculus are not the sort of bottles that savvy consumers buy for immediate drinking. Oculus in particular is structured like a Right Bank Bordeaux wine. It will have a lot of tannic grip until it is at least five years old, revealing the qualities that justify the price over the next five to 10 years. Almost the only way to taste a mature Oculus (or another icon wine) is to buy some each year on release and lay it down. You might find into a 10-year-old Oculus in a high-end restaurant – at double to quadruple the initial retail price. Recently, the British Columbia Wine Appreciation Society dipped into its cellar (and the winery’s cellar) to offer a rare 12 vintage vertical tasting of Oculus. It is no surprise that Oculus is a far better wine today than it was in the 1990s. The 1997 vintage was made with grapes purchased almost totally from a Black Sage Road vineyard (which Mission Hill bought the next year). The 1998 was made from Osoyoos grapes, Mission Hill having planted a vineyard there. Since 1998 Oculus has been made entirely with estate-grown grapes, mostly from the Osoyoos Lake Bench. The steady improvement in Mission Hill’s viticulture and the growing maturity of the vineyards generally is reflected in the wine’s improved power and concentration. There was a noticeable jump in quality that started with the 2005 Oculus. Michel Rolland, the legendary Bordeaux consultant who now helps with blending Oculus, first visited Mission Hill in 2004 and recommended crucial cellar upgrades. “In the winery, starting in 2005 and 2006, we effectively built a small winery inside the big winery,” John Simes told me in 2013. “There was significant investment in equipment that allowed us to really elevate what we could do as winemakers with those premium red grapes.” That included sorting tables that allow individual berry selections, oak fermenters and gentle basket presses. The impact is evident in the wines from 2005 onwards. The quality of the 2012 Oculus (to be released in 2016) indicates continuing improvement, especially in the vineyards. Here are notes from the Oculus vertical. Some vintages were absent because the wines are no longer available. Oculus 1999. The vintage was cold and difficult. And the blend had 58% of Cabernet Sauvignon even though the variety must have struggled to ripen. The wine is lean and the fruit is drying out. It did not help that the time in French nd American barrels was just 12 months. Since then Oculus has had 14 to 16 months of barrel aging (always in French oak only since the 2002 vintage). The 1999 Oculus is well past its prime. Oculus 2002. The blend was 50% Merlot, an earlier ripening variety that has anchored Oculus ever since. It also included Petit Verdot for the first time, adding a touch of spice. This is a silky wine at its peak. Oculus 2003. This was a hot vintage and there were massive forest fires in the Okanagan. This wine is dense and brooding with just the tiniest hint of smokiness in the aroma. It is past its peak. Oculus 2004. In a relatively cool vintage, the blend had 74% Merlot, the most so far in any Oculus vintage. It also was aged 16 months in French oak, of which 71% were new, accounting for a firm texture and a whiff of cedar. The wine has peaked but is holding. Oculus 2005. This elegant wine is from an outstanding vintage accentuated by the cellar improvements. The wine tastes of black currants and figs, with a spicy finish. Five years of life are ahead of it. Oculus 2006. This was my favourite wine of the vertical – a wine with aromas of cassis and dark fruits and flavours of black currants, black cherry and cola. The texture is plush with lots of power. This will also last five more years. Oculus 2007. This was a great vintage in the Okanagan, producing a svelte and polished wine tasting of a fruit compote with Christmas spices. Drink this within the next five years. Oculus 2008. This was another excellent vintage, delivering a wine with power (“fat ripe tannins” I noted) and rich flavours of plum and black cherry. The winery recommends drinking it by 2020. Oculus 2009. By this terrific vintage, Okanagan growers began to believe great vintages could be counted on forever. This is a rich and concentrated wine with aromas and flavours of dark fruit. Drink by 2022. Oculus 2010. Talk about a wake-up call! The only wineries that made good wine in this miserably cool year were those who were brutal in dropping fruit so the remaining bunches would ripen. The volume of Oculus was small and the wine is lean, but with the brightness of fruit typical of the year. The winery recommends drinking this by 2020. Oculus 2011. The year was almost as challenging as 2010 but was salvaged by a long warm autumn. This Oculus, to be released in the spring, is more generous than the 2010 with bright cassis aromas and flavours. This will age well for 10 to 12 years. Oculus 2012. Finally, a vintage comparable to 2005 or 2008 in quality. This wine is already juicy in texture with aromas of cassis, black cherry and red liquorice, leading for flavours of red and black fruits. You should be able to cellar this until 2025. The 2013 wine is still to be blended; but it was another strong vintage. As for 2014, Ingo Grady, Mission Hill’s director of wine education, calls it “the vintage of the century.” That should be a stunning Oculus – when released in 2018. Two premium 2012 red wines, a Syrah and a Meritage, to be released this spring constitute a very strong start for Vanessa Vineyard, the newest winery in the Similkameen Valley. Vanessa is owned by two Vancouver businessmen: real estate developer Suki Sekhon and retired stock broker John Welson. The two were friends and partners in real estate projects before 2005, when they purchased property near Cawston for a vineyard and future winery. “We kind of went into this initially, basically to build a vineyard, and then, as you get into it, the industry just pulls you along,” John told me the first time I interviewed him in 2006. He studied urban land economics at the University of British Columbia, followed by a marketing and real estate diploma in 1984 from the British Columbia Institute of Technology. Since 1999, he has been chief executive of CRS Group, a major developer, owner and manager of real estate projects. When he started looking for vineyard property in the Okanagan and the Similkameen, he thought he could use the same business model that works in his development projects. The vineyard would be developed and leased to a major winery. 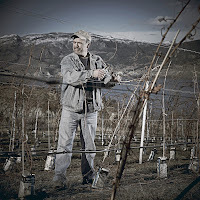 Then he discovered that the large wineries – there are few really large producers in the Okanagan – were not prepared to commit until they knew what quality of grapes would come from the vineyard. So he and John plunged ahead independently, purchasing a large block of raw land on a hillside above Highway 3, south of Cawston. It is almost diagonally across the highway from the Seven Stones Winery. The soil, however, is different. Richard Cleave and Robert Goltz, who were hired to plant about 75 acres of grapes, had to bring in a rock crusher to pulverise the rocks. The rocks were so hard that the crusher wore out its first set of teeth. Planting in 2006 ran late; a portion of the vineyard died in the summer heat and had to be replanted. Suki and John decided to plant just red varieties on the sun-bathed slope. “I must have had six or seven phone calls from people, asking me if I was crazy; was I sure what I was doing?” Suki says. He figured that if he needs white wines in his portfolio, he will find a cooler site. As it happens, Richard and Robert did plant two acres of Viognier, a heat-loving white that is useful for co-fermenting with Syrah. The major blocks, up to 20 acres each, are Syrah, Merlot, Cabernet Franc and Cabernet Sauvignon. Andrew Peller Ltd., owner of the nearby Rocky Ridge Vineyard, began buying Vanessa’s grapes about five years ago when the vines began producing. “They have been great partners, customers and terrific people to deal with,” Suki says. That might be a bit of an understatement. Peller also owns Sandhill Winery and the winemaker there is Howard Soon, a 35-year veteran of the industry and a superstar in his own right. He has been allowed to make Vanessa’s debut vintages. He also knows the vineyard well. He has also made several vintages of a Cabernet Merlot for Sandhill from Vanessa Vineyard grapes. The initial production from the 2012 for Vanessa totalled 600 cases. Production from the 2013 vintage was 1,200 cases; from 2014, it was 3,000 cases. “We’ll have to make a decision long term on production levels and on a winemaker,” says Suki, who is in the process of licensing a production facility on the Vanessa property. So far, there are no plans for a tasting room in the immediate future. However, an ideal location at the top of the vineyard has been set aside for such a possibility down the road. In the early history of settlement in the valley, there apparently was a stagecoach stop near the vineyard. John recounts walking the property and asking Richard Cleave about its history. “And Richard pulled out the old maps and right through the middle of the vineyard is a very old easement for the original stagecoach road that went from Princeton to Osoyoos,” John says. For a time, the partners considered calling the winery Stagecoach Road or Old Stagecoach Road. In the end, they opted for Vanessa, the name of Suki’s charming eldest daughter. I’d say it’s a good call. Vanessa Vineyard Meritage 2012 ($36 for 440 cases). This is 50% Cabernet Sauvignon, 27% Merlot and 23% Cabernet Franc. Each varietal was aged six months in barrel individually. Then the blend was assembled and aged another 12 months in French and American oak. Aromas of black cherry, vanilla and cassis explode from the glass. On the generously-textured palate, there is a core of sweet fruit – black currant, blackberry, fig – with notes of cedar and spice on the finish. The ripe, silky tannins give this wine a full body. 92. Vanessa Vineyard Syrah 2012 ($39 for 186 cases). The Syrah grapes were co-fermented with six per cent Viognier. The wine was aged 18 months in French and American oak barrels (this was an eight-barrel wine and five of the barrels were new). This is a big, plush Syrah with black cherry and vanilla aromas that are echoed in the flavour, along with a touch of white pepper and chocolate. 91. After selling its wine for two years under the Okanagan Crush Pad license, Bartier Brothers Winery will open its own winery and tasting room next summer on Black Sage Road. It is the culmination of a long journey for Michael Bartier who nurtured the ambition for his own winery not long after becoming a cellar rat at Hawthorne Mountain Vineyards in 1995. The winery is a partnership with his older brother, Donald (left), an oil industry accountant and land manager in Calgary with a three-acre Gewurztraminer vineyard in Summerland. Coincidental with this move, Michael has now left Okanagan Crush Pad, where he had been the senior winemaker since 2010. New Zealander Matt Dumayne, who joined OCP two years ago, takes over there. He and his brother negotiated an option to purchase it when Joe Cerqueira retired and they have now exercised that option. The vineyard, planted between 1999 and 2009, has four acres each of Merlot and Chardonnay, 2.4 acres of Cabernet Franc, 2.6 acres of Syrah and two acres of Sémillon. That vineyard, along with his brother’s Gewürztraminer block, is allowing him to build a portfolio of about 10 wines. The flagship red is a Merlot-anchored blend called The Goal, made every vintage since 2009. He is also rather high on the Sémillon, which is surprising, considering his long and successful love affair with Chardonnay. In one of my earlier books, I wrote about Michael’s affection for Chardonnay (he makes both unoaked and barrel-fermented Chardonnay at Bartier Brothers). The grape became one of his passions in 1998 when he did a vintage in Australia with the Thomas Hardy winery. “I was working with the best maker of white wine in the southern hemisphere,” he says, referring to a winemaker named Tom Newton. “He had a passion for Chardonnay and his excitement passed on to me.” After coming back to the Okanagan, Bartier made award-winning Chardonnay in several cellars. The job with the wine agency provided the opportunity to visit wineries in France and in the United States. “It gave me the interest and the passion for wine,” Bartier recalled. One side of the business that did not appeal to him, however, was selling wine. “I am not a salesperson,” he admits. He applied himself to this new job with gusto, taking extension courses from various American winemaking schools to underpin his career with professional skills. 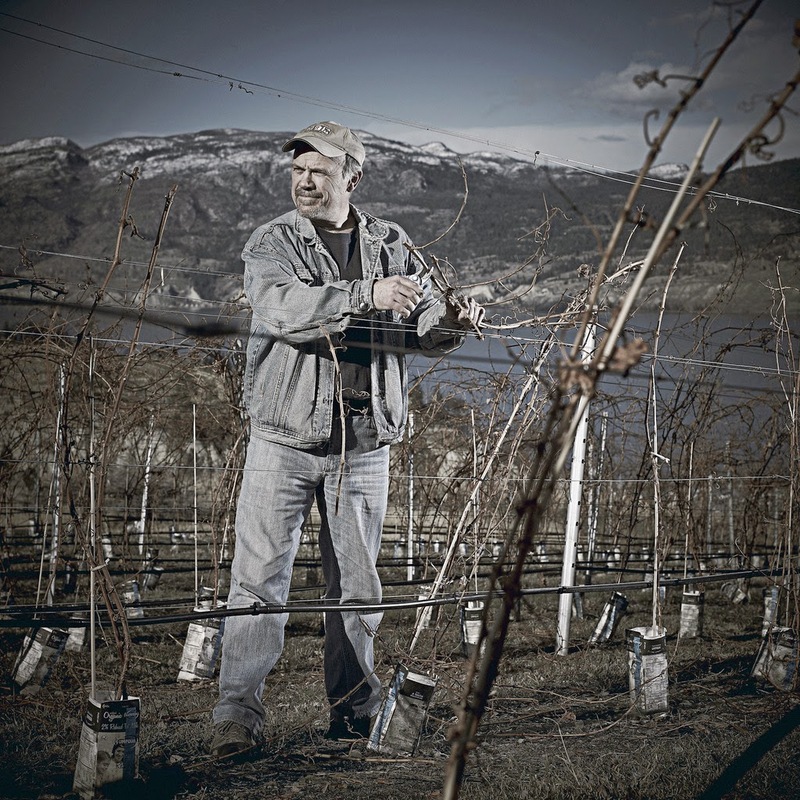 By the time he left Hawthorne Mountain (now See Ya Later Ranch) after the 2001 vintage, he was crafting some of the Okanagan’s best Chardonnay wines. He left Township 7 Okanagan in 2004 to join Road 13 and moved from there in 2010 to Okanagan Crush Pad. While he and his brother get Bartier Brothers established, he will continue to consult with several other wineries. The current plan is to build Bartier Brothers to about 5,000 cases a year. There are times when the most meaningless word on a wine label is “reserve”. However, there are wineries that endeavour to give real meaning to the word. One of them is Mission Hill Family Estate. The winery recently released its reserve wines under refreshed labels that should make them stand out better on wine store shelves. At the same time, the winery provided the trade with some background on how it makes reserve wines so that they will stand apart in the portfolio. Mission Hill has a large portfolio split into seven tiers. The Legacy wines, such as Oculus, are the top tier. Next is the Terroir Series, introduced last summer, and the Martin’s Lane wines (soon to be a separate winery for Pinot Noir and Riesling). Then there is Select Lot Collection for wines made from specific vineyard blocks, followed by Reserve. The two tiers below Reserve are Rootstock (the wines are sold just to restaurants) and Five Vineyards, the entry level wines. Keeping this sorted out in the cellar at Mission Hill must be quite a challenge. However, John Simes, the winemaker, (right) has been at this for 23 years and clearly knows what he is doing. The winery has five major vineyards, strategically located in diverse terroirs from Kelowna to Osoyoos, encompassing 30 different microclimates. Every mainstream varietal is growing in those vineyards. The reserve wines are all from estate vineyards. When John is making the reserves, 75% of the same vineyards are used. That ensures consistent quality from vintage to vintage. And each wine includes 15% of the best grapes from those vineyards, so that the wines approach the ultra-premium quality that the reserve designation implies. The new reserve labels are in a style the winery calls “modern classic.” They feature the original sketch that architect Tom Kundig did when he and owner Anthony von Mandl were redesigning the winery about 15 years ago. The bell tower is the focal point of the sketch and now of the labels. Mission Hill Reserve Riesling 2013 ($18.99). This wine begins with an appealing aroma of herbs and citrus, leading to flavours of lime and grapefruit. A touch residual sugar lifts the flavours and the texture, but the wine is balanced to finish almost dry. This is drinking well now but it will reward you with more complexity if you cellar it a few years. 91. Mission Hill Reserve Chardonnay 2013 ($21.99). I would cellar this wine another six months because it still seems to be integrating the oak, which is sweet in the aroma and adds a suggestion of hazelnuts on the palate. There it mingles with flavours of citrus, apple and pineapple. 88-90. Mission Hill Reserve Pinot Noir 2013 ($27.99). In the Wine Society interview, John was asked what accomplishments he was particularly proud of. “The emergence of Pinot Noir at an international quality level,” he replied. This wine is a case in point. It begins with aromas of cherries and raspberry, leading to vibrant flavours of cherry and spice with a classically silken texture. 90. Mission Hill Reserve Merlot 2012 ($26.99). This wine, which has been aged 12 months in French and American oak, begins with aromas of black cherry and black currant. The texture is concentrated and still firm (it will age well). There are flavours of black currant, plums espresso and dark chocolate. 90. Mission Hill Reserve Cabernet Sauvignon 2012 ($26.99). This wine, aged 14 months in French and American oak, is still tight and will benefit with decanting or cellaring several more years. It begins with aromas of mint, black currant and cedar, leading to flavours of black currant, with a spine of minerality. There is a lingering hint of graphite, dark chocolate and coffee on the finish. 90-91. Mission Hill Reserve Shiraz 2012 ($26.99). This wine also has been aged in French and American oak for 14 months. Dark in colour, the wine begins with aromas of spicy plum and blackberry. On the earthy and concentrated palate, there are generous flavours of blackberry and cherry with a hint of liquorice on the finish. 90. Mission Hill Five Vineyards Cabernet Merlot 2012 ($16.99). Recently released, this wine is available in stores from British Columbia to Quebec. It is 37% Cabernet Sauvignon, 35% Merlot, 24% Cabernet Franc and 4% Petit Verdot. It has been aged 11 months in French and American oak. It is soft and easy-drinking, with aromas and flavours of cherry, vanilla and sage. 87. JoieFarm Winery’s red wine release last fall omitted the winery’s reserve wines, which are released under the designation, En Famille. One awaits those wines with eager anticipation. JoieFarm entered the 2012 En Famille Pinot Noir in the Decanter World Wine Awards last fall – and got a gold medal. The regular Pinot Noir, reviewed here, won silver. Some other Okanagan wineries also give their reserve wines an extra year or so of bottle age. For example, Poplar Grove’s Legacy, a $50 Bordeaux red, has typically not been released until it is five years old. The winery is considering reducing that to four years, in part because a winery ties up a lot of capital when it warehouses wines for as long as five years. Surely, it is up to the customer to age the wines as well. And most Okanagan reds are drinking well by the time they are four years old. Who benefits when a winery holds back its wines for a year longer? Restaurants, for one. Most restaurant owners also don’t want to tie up capital in massive wine cellars. Many sommeliers don’t have the time, or won’t take it, to decant young wines during dinner service. Apartment and condo dwellers also benefit. There is seldom adequate wine storage in 1,000 square feet. Unless they rent commercial storage, those consumers do not buy and hold. They buy for more or less immediate consumption. JoieFarm’s decision should help it place its En Famille wines onto more restaurant wine lists and into the hands of cellar-challenged private consumers. While you wait, here are notes on the ready to drink current releases. JoieFarm Gamay 2012 ($24 for 490 cases). A medium-bodied wine with lively acidity (think Beaujolais), this is a wine with cherry aromas and flavours. The winery’s tasting notes also speak of “white pepper, coffee and bacon flavours” on the palate. I confess to missing those notes in what, at the end of the day, is a good cheerful drink. 88. JoieFarm PTG 2012 ($24 for 650 cases). A tradition in Burgundy is to blend Gamay and Pinot Noir into wines called Passe-Tout-Grains. This is 50% of each varietal. However, the Pinot Noir is drawn from four different vineyards and at least three clones. In that way, the winery has built complexity into the wine. It begins with aromas of cherry and raspberry which are echoed on the palate. There is a fine core of berry flavours and a juicy texture. 90. JoieFarm Pinot Noir 2012 ($24 for 900 cases). This is a beauty in the glass with its jewelled ruby colour. It has rich aromas of cherries and strawberries which echo in the bright flavours. The texture is firm and full. This is drinking well but won’t reach its peak for another two or three years. 90. 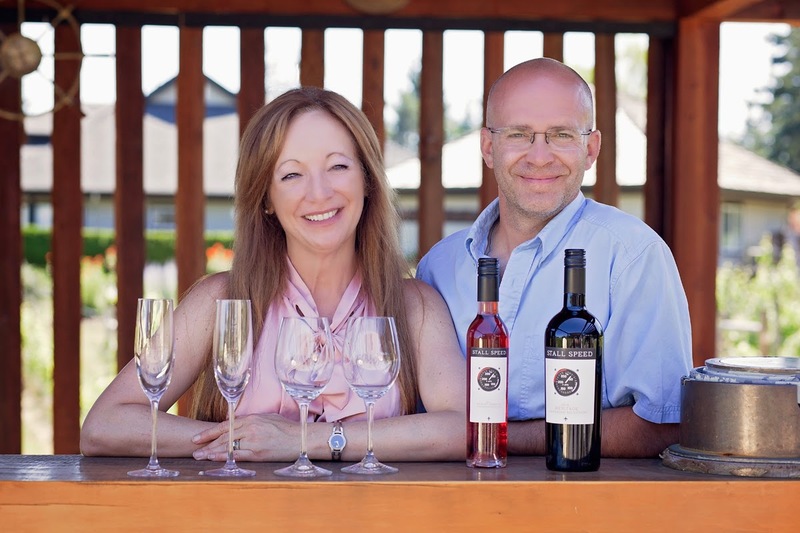 Whether it was good business or a stroke of luck, Brenda Hetman-Craig and Layne Craig, her husband, bought 40 Knots Vineyard & Estate Winery last summer just as one of the best vintages ever was ripening in the Comox Valley. Judging from those comments and from the winery’s current releases, the new owners are off to a flying start. That is an intentional pun: Layne is a pilot, an occupation he juggles with managing the cellar at 40 Knots. The winery was opened in 2011 by Bill Montgomery, a former towboat company owner who planted a sizeable vineyard near Comox in 2007 and 2008. The 18 acres include Auxerrois, Siegerrebe, Chardonnay, Pinot Gris, Pinot Noir, and Gamay Noir. He put the winery on the market a year after opening when he discovered that it involved an overwhelming amount of work. The wines in the initial release, two whites from 2009 and two reds from 2010, showed promise. However, the 2010 and 2011 vintages were very challenging on Vancouver Island, unless one was focussing on sparkling wines. The previous winemaker recognized this and made a terrific bubbly, part of the current release. Fortunately for the Craigs, the weather turned around in 2012. The wines they inherited, which were finished and bottled by Matt, reflect the better vintages. Based on these wines, we should all look forward to the 2014s from 40 Knots. That Siegerrebe, for example, will be released under the label, Zeggy. That is also the nickname for their vineyard dog, a whippet called Siegerrebe. The Craigs are a business couple from Fort St. John who wanted to buy and operate a family business. To make up for their lack of wine industry experience, they are using consulting services from Okanagan Crush Pad Winery in Summerland. New Zealand-trained Matt is Crush Pad’s senior winemaker. The Craigs have split their portfolio into two labels. Estate-grown wines are always released under the 40 Knots label. But when they release wines from Okanagan fruit, those will be labelled Stall Speed. “We wanted to be very transparent to our consumer and have chosen not to mix grapes from different vineyards,” Brenda says. It is noteworthy that the winery’s labels are smart and the packaging is contemporary. With the exception of the port-style wine, all still wines are under screw caps. The sparkling wines are closed with crown caps. 40 Knots Spindrift Brut 2012 ($29.90). This is Pinot Noir and Chardonnay with a touch of Pinot Gris in the cuvée. The wine gives an active display of fine bubbles in the glass. It has toasty/bready aromas from its time on the lees. On the palate, the wine is creamy with subtle flavours of lemon. The finish is crisp. 89. 40 Knots Spindrift Soleil Rosé 2011 ($29.90). This is Pinot Noir and Chardonnay with a touch of Pinot Gris and a splash of Maréchal Foch in the cuvée. The wine begins with an appealing rose petal hue and active bubbles. The bready notes of lees aging mingle in the aroma with hints of strawberry. There are flavours of raspberry that linger on the finish. 91. 40 Knots Reserve Chardonnay 2012 ($20.90). This Chablis-style wine is a subtly oaked Chardonnay; the oak expresses itself with a hint of coconut mingled with the citrus aromas. On the palate, there are flavours of apple and lemon. The lively acidity gives the wine a crisply clean finish that lingers. 89. 40 Knots Pinot Gris 2012 ($18.90). The wine begins with aromas of apples, peaches and citrus. On the palate, it is crisp, tasting of apples and grapefruit, with an intriguing hint of anise on the finish. 88. 40 Knots Whitecaps 2013 ($18.90). This is a blend of Pinot Gris and Schönburger. It begins with a fruity aroma of pears. On the palate, the wine has flavours of lemon and herbs. The finish is clean and crisp. 88. 40 Knots Rosé 2012 ($18.90). A blend of Pinot Noir and Gamay Noir, this wine has a lovely rose petal hue. It begins with aromas of strawberries, leading to flavours of strawberry, cranberry and cherry. There is a slight hint of residual sugar – just the right amount to lift the flavours and the aromas. This is a refreshing rosé. 89. 40 Knots Pinot Noir 2012 ($22.90). Light ruby in hue, the wine begins with lightly oaked aromas mingled with hints of raspberry. The wine is appropriately silky in texture. The flavours are savoury and earthy with a touch of cherry and spice on the finish. 88. 40 Knots Stall Speed Meritage 2013 ($29.90). Made with Okanagan grapes (Naramata Bench), this is a blend of Merlot, Cabernet Franc, Cabernet Sauvignon, Petit Verdot and Malbec. The wine begins with aromas of black currants and blackberries, leading to flavours of black currants, cola, dark chocolate with a spine of minerality. The wine is drinking well now but will reward you if you cellar it another four or five years. 90. 40 Knots Stall Speed Merlot Icewine 2013 ($49.90 for 375 ml). The Merlot grapes are from a Kelowna vineyard. The wine begins with an appealing dark rose petal hue. Dramatic aromas of strawberries and cherries explode from the glass. The wine delivers generous flavours of strawberry and raspberry jam. There is just enough acidity to refresh the palate. 90. 40 Knots Safe Haven 2012 ($20.90 for 375 ml). This port-style wine is made with Vancouver Island Maréchal Foch, fortified to 18% with grain alcohol. The aromas and flavours recall a nice slice of fruit cake, with moderate sweetness. The finish lingers on the palate. A wedge of blue cheese would be a perfect companion. 90. One of the more savvy moves by Andrew Peller Ltd. was its 10-year licensing agreement in November, 2011, with Wayne Gretzky Wines Estates. Under that agreement, Peller gets to make and sell wines under the Gretzky brand. It would be hard to find wines with better name recognition. After retiring from his lengthy NHL career as a player and then as a coach, Gretzky ventured into other businesses, including wine. When he agreed to fold his Ontario winery into the Peller stable, he allied his celebrity to a company with powerful technical and marketing skills. At the time of the deal, Peller assumed $2.7 million of Gretzky’s Ontario wines. Peller wasted no time in launching a parallel Okanagan brand. Peller has a good grape supply in the Okanagan and winemaking capacity in the big Calona winery in Kelowna. And crucially, Stephanie Stanley, who was already making the Peller wines in British Columbia, also began making the Gretzky wines in 2011. Indeed, one of her first Gretzky wines won a Lieutenant Governor’s Award of Excellence in 2014. By every indication, the brand has been a solid success in British Columbia, and very likely in the other provinces in Western Canada where the hockey great has a following. Currently, six Wayne Gretzky Okanagan wines, all VQA, are available in British Columbia liquor stores – often widely available. For example, almost 2,000 bottles of the 2013 Cabernet Sauvignon Syrah are spread among 131 stores. During the recent holiday period, this wine and two others were discounted temporarily by $2 a bottle, presumably to clear out some older vintages. These wines, which over-deliver, really don’t need to be discounted. Here are notes on three of those wines. Wayne Gretzky Okanagan The Great White 2012 ($15.99). This is a complex blend of Sauvignon Blanc, Riesling, Pinot Gris, Chardonnay and Sémillon. It begins with herbal aromas (a bit of petrol) with a touch of grapefruit and grapefruit rind. These are echoed in the layered tropical flavours. The texture is full but the finish is crisp even if the back label says off-dry. 90. Wayne Gretzky Okanagan The Great Red 2013 ($17.99). Everything but the kitchen sink seems to be in this wine. It is a blend of Merlot, Malbec, Cabernet Sauvignon, Cabernet Franc, Syrah, Petit Verdot, Mourvèdre and Gamay Noir. The wine begins with smoky and gamy aromas with notes of black cherry. On the palate, there are flavours of spicy fruit reminiscent of fruit cake with a touch of vanilla on the long finish. This is an interesting wine. 90. Wayne Gretzky Okanagan Cabernet Sauvignon Syrah 2013 ($17.99). The wine begins with classic minty Cabernet aromas. On the palate, there are luscious flavours of black currant, black cherry, cocoa and coffee. There is pepper on the finish of this appealing blend. 90.